1) a mobile food cart for the 130 square foot space inside the Pier 1 gatehouse at the park's main entrance. 2) a mobile food cart for the 2,500 square foot elevated outdoor plaza, beer and wine available. 3) By Pier 6, a "sit-down restaurant with almost 2,000 square feet of interior space, plus outdoor dining space on both the adjoining terrace and the rooftop." 4) Also by Pier 6, a 170 square foot restaurant by the Atlantic Ave. entrance. 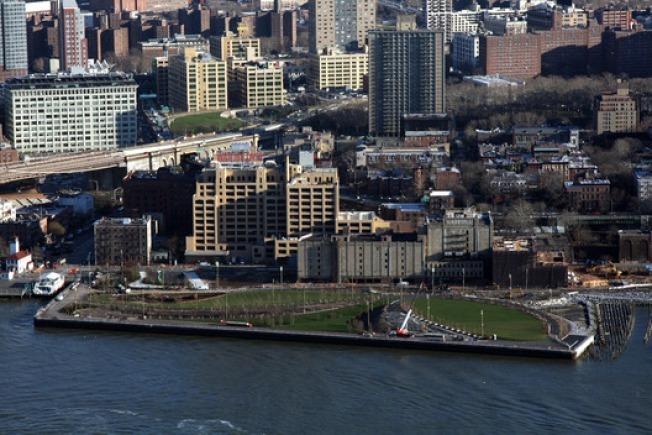 The Pier 1 food carts are expected to open by this summer, while the Pier 6 restaurants should be up and running by 2011. Danny Meyer, Wafels & Dinges dude, Le Pain Quotidien, Japadog guy—better get those plans drawn up.